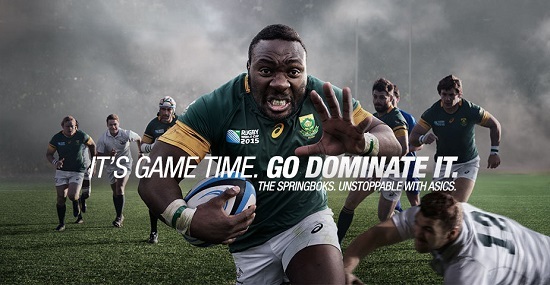 South Africans are gearing up for the Rugby World Cup and are feeling a little bit better after the Springboks much improved performance last Saturday, and their defeat of Argentina. 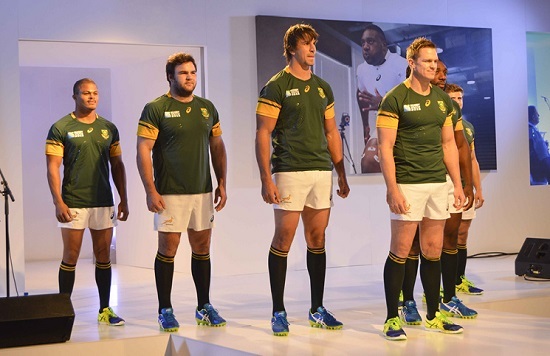 This was Heyneke Meyer’s men’s final opportunity to put their hands up for a role at the global showpiece. The 31 man squad will be announced and our team of heroes will head off to UK to attempt to become the first team to win the William Web Ellis trophy for the third time. The Rugby World Cup takes place in England; there are plenty of places you can watch the games with a stadium-like cacophony of noise and enough strangers to hug to your heart’s desire when Jean de Villiers lifts the trophy! There is something special about watching the Springboks play with a group of strangers that makes them more like family. The is such a place. It’s a sea of green and gold and South African Breweries. It’s the closest you will get to the stadium inspired goosebump inducing national anthem. From moaning at Ruan Pienaar, to Cussing Romain Poite and naming our kids Wille or Pat – you will get it all at the ABSA Boktown. For the 2015 Rugby World Cup, computicket have already confirmed that there will be at least three Boktowns, namely Monte Casino, Silverstar Casino and Gold Reef City. Lots of quality TV’s – one big TV doesn’t work, there needs to be a few to make sure you can get multi-angles for the big decisions. Of course if a stadium full of like-minded fans isn’t enough to get the green blood pumping through your veins – then surely you can’t beat having the actual stadium experience. Of course due to the rand being as strong as the Cheetahs defence during Super Rugby, a trip to the UK to watch the Rugby World Cup may cost you a little more than a kidney. That being said the folks over Webjet South Africa have a range of special international flight deals which you could look in to investing in, if you you’re quick about it. It might make up your birthday presents for the next fourty years, but you will always be able to say you were there when Heyneke’s men united the Nation. As a proud South African, arguably the greatest way to watch the Springboks march their way through the Rugby World Cup is at home with mates over a <not gas> braai. A braai needs to start a good few hours before, so that there is enough time to debate selections, talk about the Currie Cup and make a few predictions. The additional time also allows the opportunity to let off steam about Zane Kirchners selection and why it is that Victor Matfield should retire. At the same time you will each take over being the braai master, the brewer and of course the waitron. But more importantly you will become even better friends when you watch each other mimic the lung busting run from Jesse Kriel or rip roaring tackle by Eben Etzebeth. Ultimately it doesn’t matter where you watch the Rugby World Cup, it only matters that you do and that you support the Springboks with your fellow South Africans. 1 team 1 nation and soon 1 more trophy?? ?